This entry was posted on Saturday, November 24th, 2012 at 9:21 pm	and is filed under News & Articles. You can follow any responses to this entry through the RSS 2.0 feed. You can leave a response, or trackback from your own site. 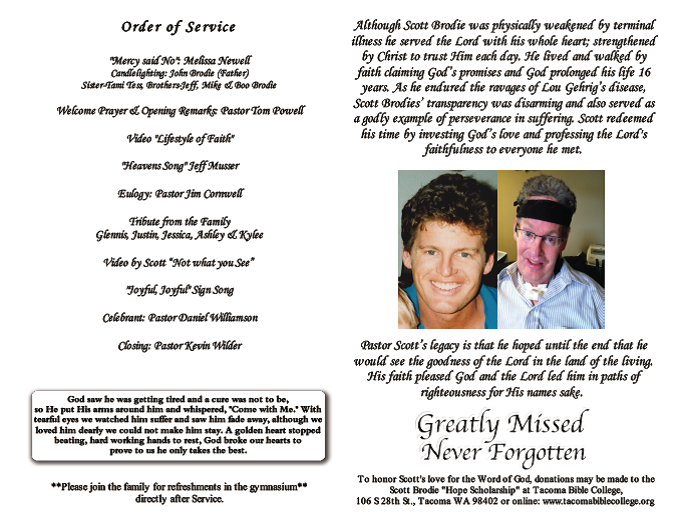 I am sorry to hear of Scott’ passing, but rejoice knowing he is with his Lord and Savior. I grew up with Tammy and Scott was my brother Jim Severin’s friend. I always enjoyed seeing Scott and cheering him on in his sporting events! I have followed your website and have been in awe of every word written. 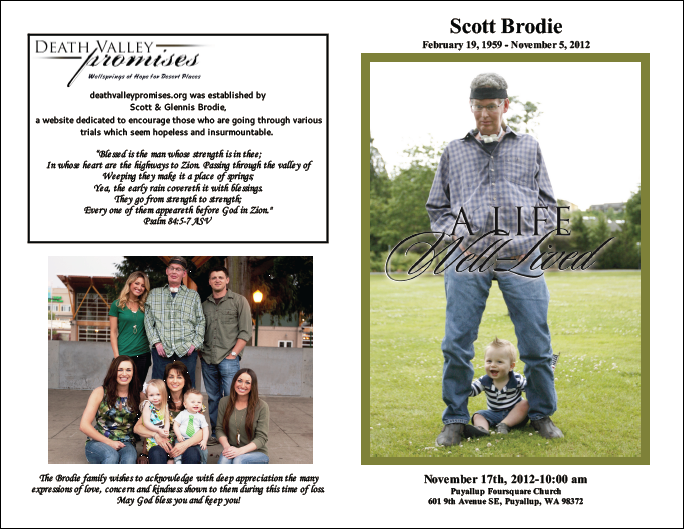 May God bless your family with His peace and understanding until you meet again.